As the FOMC rate hike day begins in North America, the NZD is the strongest, and the GBP is the weakest. The USD? 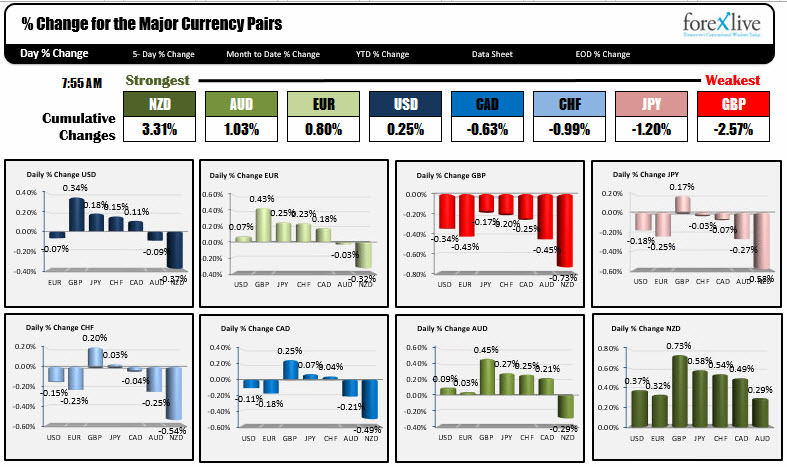 It is mixed with modest gains vs. the GBP, JPY, CHF and CAD and declines vs the NZD, AUD and EUR. Before the rate hike, the US will release PPI data with the expectation of MoM up 0.3% and ex food, energy up 0.2% and ex food, energy, trade up 0.2%. The headline YoY gain is expected at 2.8% versus 2.6% last month. The ex-food and energy is expected to rise by 2.3% (unchanged from the prior month). The DOE inventory data will be released at 10:30 AM ET/1430 GMT. The price action today has been very contained with trading ranges all well below their 22 day averages, and some very narrow ranges. Welcome to pre-FOMC trading. 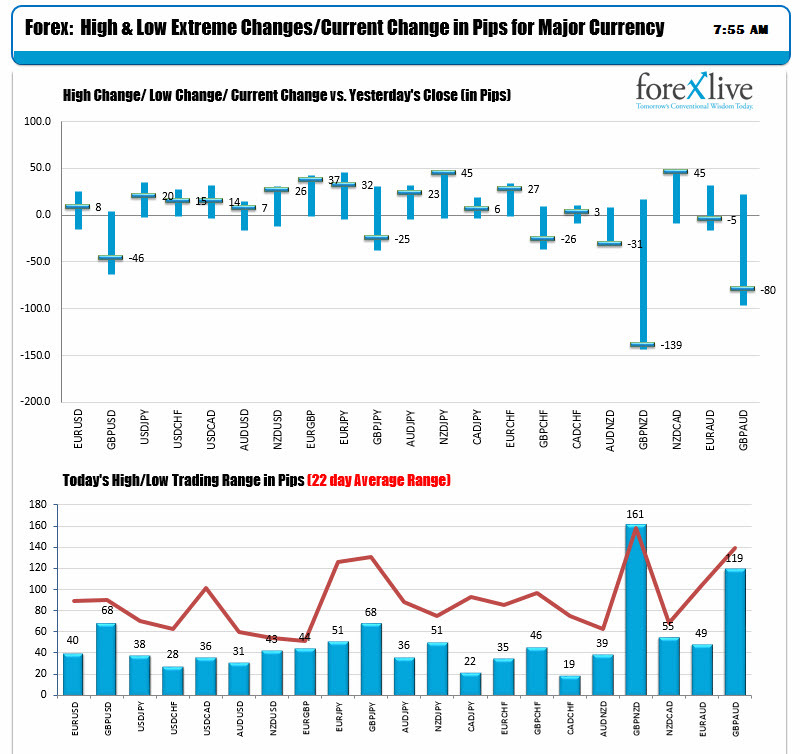 The GBPUSD is the biggest mover of the majors. It still has a modest 68 pip range and stands -46 pips lower. In an ironic twist, the US, Canada and Mexico were all awarded the distinction as the host for the 2026 World Cup. Speaking of World Cup, the play begins tomorrow (get ready for the markets to suffer from World Cup Fever).